Throughout Asia, shophouse restaurants are a place for family, friends and neighbours to gather and eat. 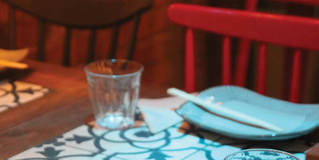 We celebrate this at Tootoomoo as we marry Asian influences with our eclectic London surroundings. The inspiration for our restaurant comes from the bustling street markets of Asia, with our open kitchen and signature shophouse style. In keeping with a true shophouse experience, we offer a casual dining menu where dishesare best shared. 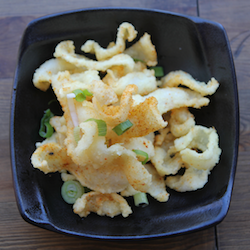 Tootoomoo Islington pairs the street market flavours of Japan, China and Southeast Asia with Britain's finest premium ingredients. 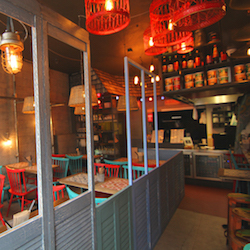 Bringing the tastes and atmosphere of an Asian shophouse to Highbury and Islington. Grab your chopsticks and join us for Bottomless Brunch or indulge in #ThirstyThursdays when all cocktails are 1/2 price all night long! urn your weekend up a notch with endless flowing booze and a 3 course pan-Asian tasting menu! Fridays, Saturdays and Sundays. Kickstart Saturday or indulge in much-needed Sunday hair-of-the-dog with unlimited prosecco and draught beer or upgrade your brunch for £5 and include cocktails! Still hungry? Why not indulge in an additional dessert course for £5, traditional Japanese ice cream Mochi. T&Cs apply ask for details! Starting from £29.95 for 1.5 hours or £34.95 for 2 hours. Christmas is coming. There, we’ve said it. But, we couldn’t be more excited. 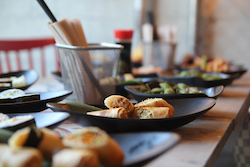 We’d be even more thrilled to host or cater your intimate soiree or company party. Contact us at Islington@tootoomoo.com and let us plan your perfect engagement.